New York, April 17, 2018 – Visible Alpha is pleased to announce that it has received ISO 27001 certification from Schellman & Company, LLC, an ANAB and UKAS accredited Certification Body based in the United States for its information security management system (ISMS) supporting the Visible Alpha Services. ISO 27001 Certification published by the International Organization for Standardization is the leading international standard for establishing, implementing, operating, monitoring, reviewing, maintaining and improving a documented ISMS within the context of the organization’s overall business risks. Obtaining this certification provides Visible Alpha’s buy-side clients and sell-side contributors with another other level of assurance that the systems and services provided by Visible Alpha pass the rigorous audit required. “By securing ISO 27001 certification for our information security management system, we are able to provide our clients and content contributors with a higher degree of confidence in the quality and stability of security around their content and data,” said Nitin Gupta, Chief Technology Officer at Visible Alpha. Visible Alpha offers services for both institutional investors and investment research providers that improve the ability for both parties to collaborate around research, analyst models and corporate access events. To learn more about Visible Alpha and its security policies, visit visiblealpha.com/mission. 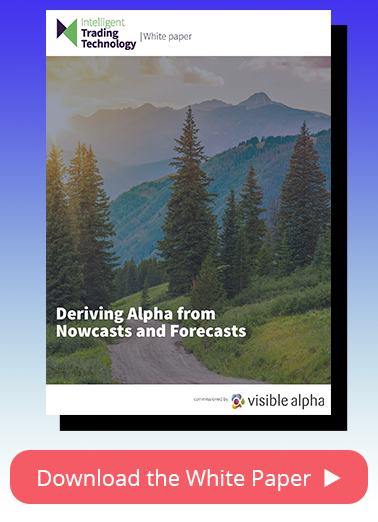 Since Visible Alpha’s commercial launch in February 2017, the company has been helping investment firms of all sizes and geographies discover ideas through its deep consensus platform and track and value research for MiFID II compliance. Visible Alpha creates a unified consumption and collaboration experience across research reports, analyst models and corporate access events and enables clients to discover, track, budget, value and pay for research content. Visible Alpha has a growing client base with $16 trillion in AUM, more than 450 banks contributing content, and over 400 employees globally. The company is backed by some of the largest banks in the world. For more information on Visible Alpha, please visit https://www.visiblealpha.com.